When you are in a different town, you want to explore it to the fullest. There are many different ways to accomplish this, and one such way is by shopping. You can tell a lot about a place by the kinds of stores you’ll find, and of course, finding new treasures is always exciting. We’ve narrowed down some of the best places in Big Bear for shopping; take a look below! 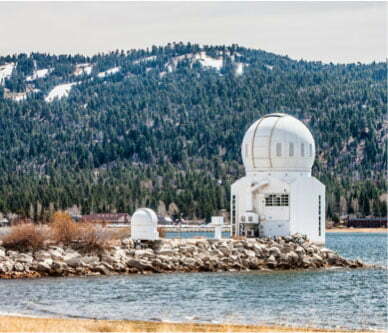 To discover other ways to explore Big Bear, download our free Vacation Guide. It’s a great resource and is sure to save you time planning. 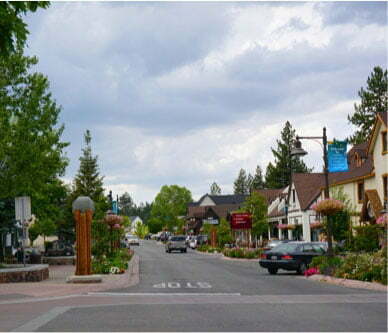 The Village is Big Bear Lake’s primary shopping and entertainment district. Its the place to go when you are looking for something to do, whether you are shopping or simply want to walk around. The quaint streets and buildings that rise on either side are filled with all kinds of options for shopping. Stroll down the street, and you’ll see that there are clothing boutiques, souvenir shops, art galleries, and even used bookstores and shops offering natural bath and body products. There are also plenty of restaurants, cafes, and bars, so if you need to take a break to grab a bite to eat or a quick drink, they will be within walking distance! 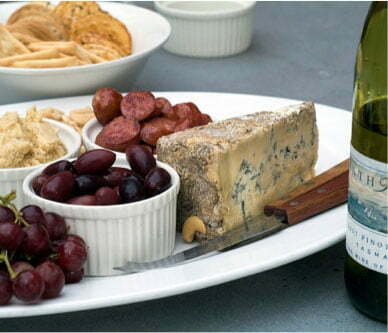 For a full directory of shops in Big Bear Village, check out their website! If you are looking to explore shops a bit off the beaten path, Big Bear also features a handful of thrift stores, consignment shops, and antique stores. Head over to Big Bear Thrift and Treasure to spend some time exploring the different rooms filled with all kinds of things, from antique furniture to vintage clothing. The owners take great care to display their merchandise, to the point where it almost feels like a museum. If you enjoy thrifting, you won’t want to miss this little stop! Doves Nest Thrift Store is also worth a stop. It is clean and well-organized, and the proceeds go to a good cause. They offer discounts on different days of the week, and will sometimes even be willing to change the price of some items. Heidi’s Consignment offers all kinds of jewelry, clothing, furniture, and paintings, both vintage and modern. It’s bigger than it looks from the outside, and you’re sure to find something special inside. If you like to collect antiques, a visit to the Fox Farm Antique Mall is in order. The owners are friendly, and there are several different booths, which means that you will discover a variety of items. You never know what you’ll find among the shelves and rooms here! 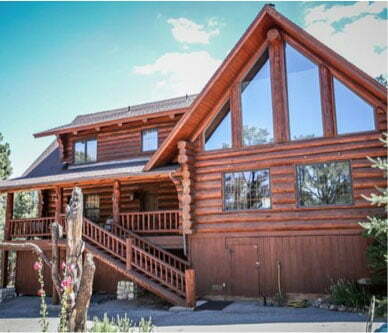 Recuperate from your day spent shopping in the peaceful surroundings of a Big Bear Lakefront Cabin. Bring your treasures back and relax on a cozy couch in front of a fireplace, or soak in an outdoor hot tub while enjoying the views. Our cabins are close to all the top attractions in Big Bear, so whether you want to spend time in the Village, hit the slopes, or go on a hike, you won’t be far. 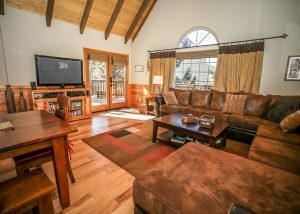 You can expect to find luxurious touches in every cabin, from fully equipped kitchens and crackling fireplaces to vaulted ceilings and hardwood floors. In addition, each comes stocked with plenty of cozy blankets and fresh towels, so all you have to worry about is how you will spend your time in Big Bear! Be sure to browse all our properties before you book your stay, and feel free to contact us with any questions you might have!